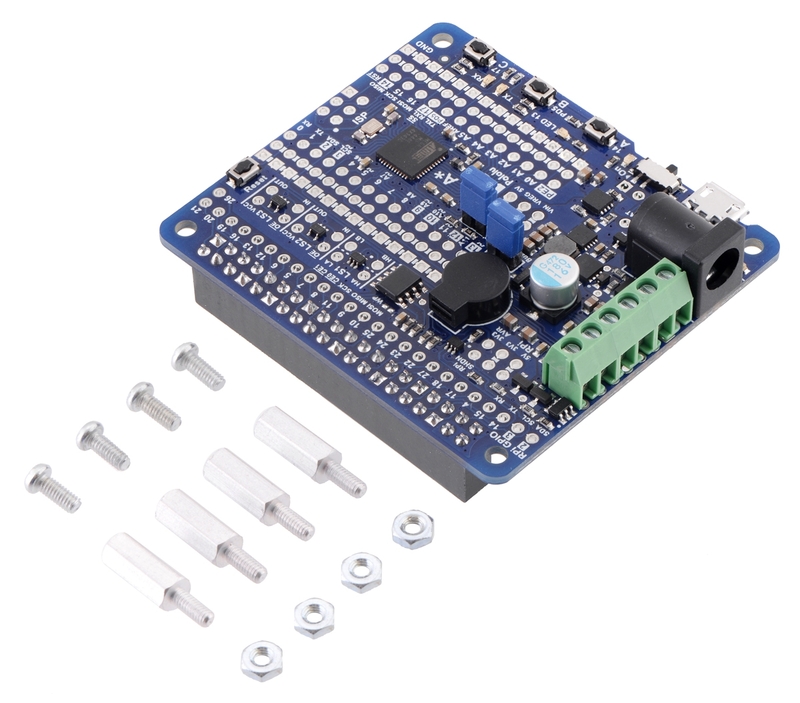 This version of the A-Star 32U4 Robot Controller LV with Raspberry Pi Bridge is assembled with selected through-hole connectors and components for use as a Raspberry Pi expansion board, as shown in the picture above. A 2×20-pin 0.1″ female header is preinstalled to serve as a Raspberry Pi GPIO connector, and a 6-pin strip of terminal blocks and a DC power jack are mounted for motor and power connections. A buzzer is also installed, along with two 2×1-pin male headers and shorting blocks for the buzzer and battery level jumpers. For a version with SMT components only, making it more suitable for standalone use and allowing customization of through-hole components, see item #3116.